A unique wedding experience created for the modern couple looking for inspiration and a talented team of vendors to make their dreams come true! This will be like no other wedding show you've been to before. You won't find rows of booths and tables with brochures. You will find creative designs much like what you see on Pinterest but better! 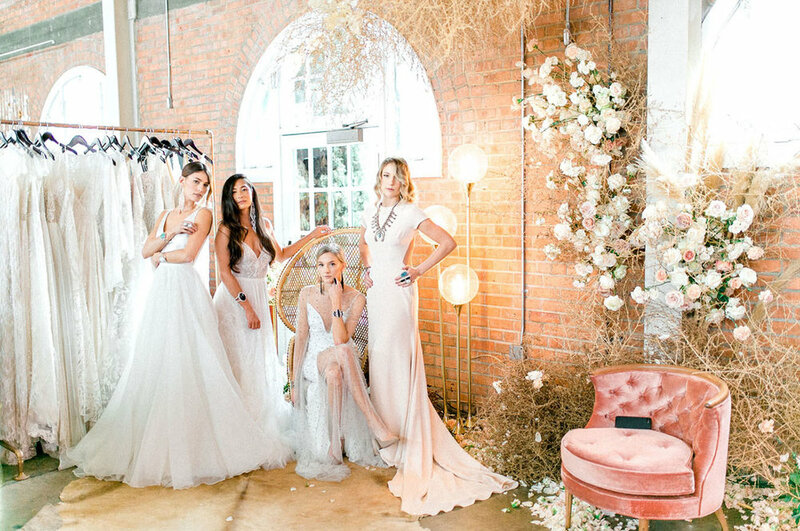 We have fully designed spaces that might inspire your wedding palette or vibe, interactive Hair and Make-up stations where you can tryout a potential wedding day look, and live demo's by various vendors so you can see firsthand what they have to offer. There will be multiple caterers serving up menu options to sample and custom cocktails flowing all day. It's all about meeting vendors, getting to experience their work and seeing if they are a good fit for you. Arrive early and receive a Swag Bag full of goodies (first 35 BRIDES in the door)! Also for those that want to beat the crowds and start the experience a little early - checkout our VIP Bride-to-Be Tickets. All the perks and early access might be perfect for you!? From start to finish we have you covered. Get your tickets HERE!